Congress in strategic understanding with SP, BSP for 2019 Lok Sabha polls. Congress has made it clear: the primary job is to bring together all opposition parties on “one platform” without “any confusion and disruption”. “What happens after that will depend on how different parties perform,” a senior leader was quoted. For the time being, the Congress wants to keep discussions on post-poll scenario on the backburner. This could prove counter-productive and “divisive” for the opposition alliance, the party feels. The Congress painted a picture of confidence. The party expects to perform “significantly better” and “get a decent number of seats” in 2019 as compared to 2014. However, sources in the party were now sure if it would emerge as the single largest party. But the Congress does not want to project a face that will take on Narendra Modi. There is a feeling among all opposition parties that their “primary job” is to defeat the BJP and that the contentious issue of Prime Ministerial candidate can be decided after the elections depending on the seats each party will get. That is where the Opposition unit is likely to fall as there would be too many PM candidates in the fray. As a first step, the Congress, SP and BSP have reached a “strategic understanding.” But the party made it clear that it will not have any alliance with disgruntled NDA constituent Shiv Sena as it was “not ideologically aligned” with the Congress. Though an open alliance has been negatived, one cannot rule out a tacit understanding in Maharashtra. This is because Sena hates Modi and is ready to sup with anyone who can defeat him. As for parties like the AAP, the sources pointed out that the Congress is locked in a direct fight with regional parties in certain states. They named the TRS in Telangana and AAP in Delhi and argued the high command will not “overrule or ignore” the views of the state units. On the tricky issue of West Bengal, where the state Congress leadership is dead against entering into a seat-sharing pact with the Trinamool Congress, the party was silent. Trinamool Congress chief Mamata Banerjee had a meeting with UPA chairperson Sonia Gandhi and Congress president Rahul Gandhi earlier this week. But days after she met Sonia and Rahul Gandhi, Bengal Congress chief Adhir Ranjan Chowdhury called Mamata a “chameleon” and accused her of hankering after the prime minister’s post. 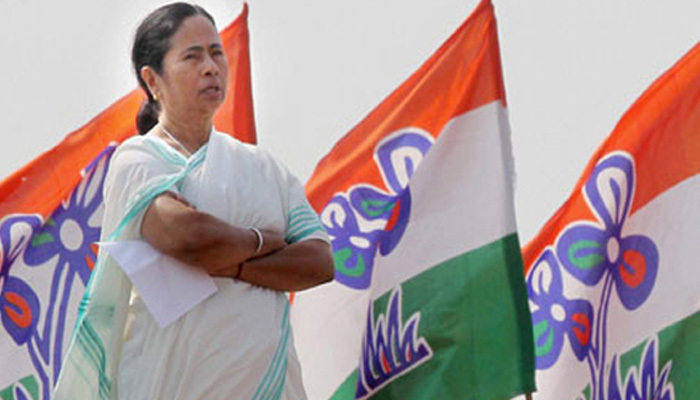 In a no-holds-barred attack on the Bengal CM, Chowdhury alleged that Banerjee is acting like a “Trojan Horse” and trying to divide a “united opposition” by floating the idea of a federal front, and urged leaders of various parties not to trust her. “Her single objective is to be the prime minister of India. She is hankering after the post of prime minister. She is having a ‘Devegowda-syndrome and Gujral-syndrome’,” he said. Next articleRajinikanth Taking Over AIADMK?